The new Nikon 1528 DF 16.2 MP is a full frame DSLR. According to most users, it is a perfect mix of latest digital technology with old qualities in Nikon cameras. 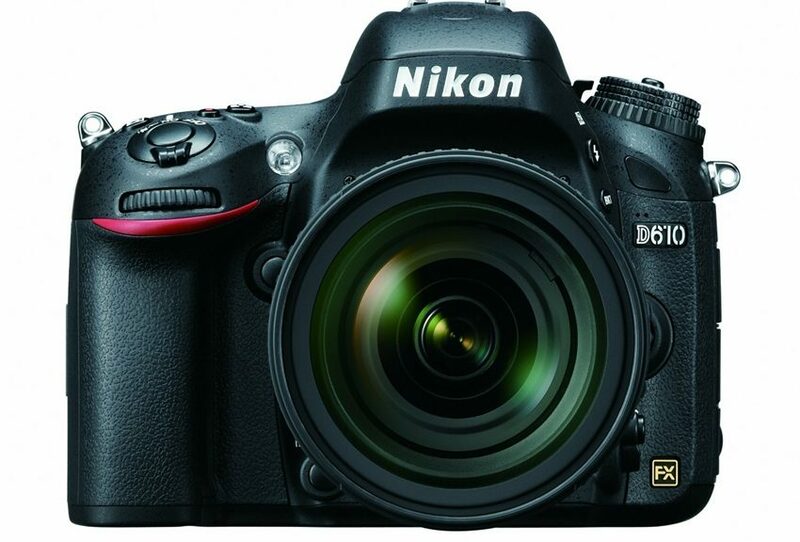 The latest technology in Nikon DF has been acquired from Nikon D series DSLRs. According to Nikon, this camera will come with a special-edition lens ‚AF-S Nikkor 50 mm F1.8G‘. This lens has the same kind of optical performance just like the standard 50 mm F1.8G lens. This camera will be available in silver and black color. Nikon also states that this camera’s body will vary according to the country. 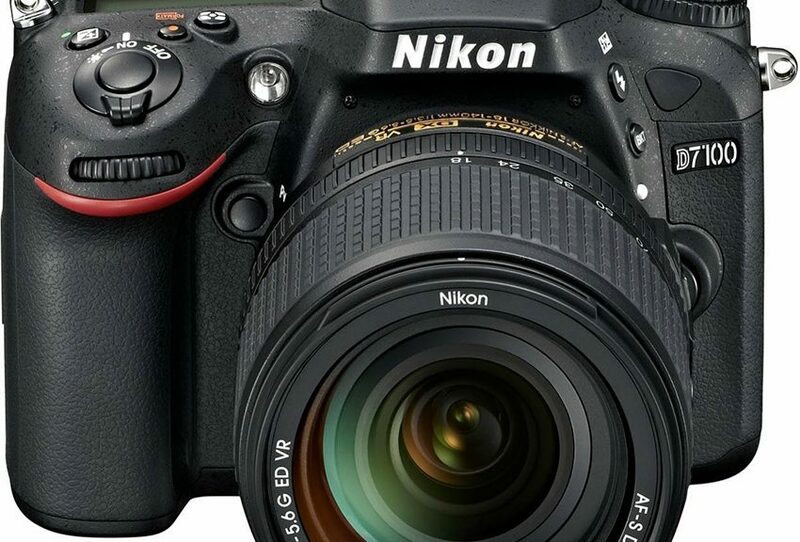 According to Nikon, this latest DSLR will be available in stores from November 28th, 2013. Nikon 1528 DF 16.2 MP features Nikon film SLR styling. The camera looks inspired by Nikon FM-2 and comes with manual controls. It also features a small mode dial which is present on the top right corner of the camera. It is locked and you can easily pull it upwards to unlock. A large shutter speed control dial is also included in the camera. When you handle this camera for the first time, you will notice how it imitates a high-end camera specifically designed for professional photographers. You won’t be held back by this camera’s electronic controls. According to the company, this camera is designed for photography enthusiasts. Nikon 1528 DF 16.2 MP makes it possible to maximize Performance by optimizing non-Ai lenses. In fact, this camera is also compatible with Ai lenses and therefore, it can be used with lenses dating back to 1950s. 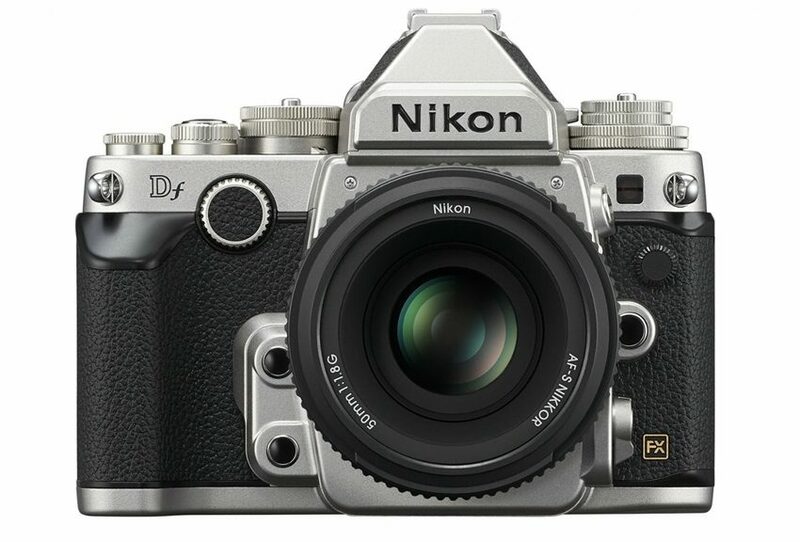 Nikon DF comprises of an electronic virtual horizon with 1:1 and 16:9 aspect ratios. These aspect ratios are available when you’ve selected live view. This is one of the lightest and smallest full frame cameras from Nikon. The body of the camera has been constructed from weather-sealed magnesium. The top of the camera looks vintage and retro. The design of the camera clearly states the inspiration taken from cameras built in 1950s. You can see metal dials, controls, switches, central screw thread and shutter release designed to accept manual shutter release cables. These were quite popular with SLRs. Nikon has also tried to make this camera very compact. However, it still has a sturdy rubber grip which extends round to the back of the camera. This way, you can also properly place your thumb onto the camera. All the control wheels at the back and front are easily accessible. You won’t have to stretch your thumb or fingers excessively. Therefore, you will be comfortable while using this camera for Extended periods. 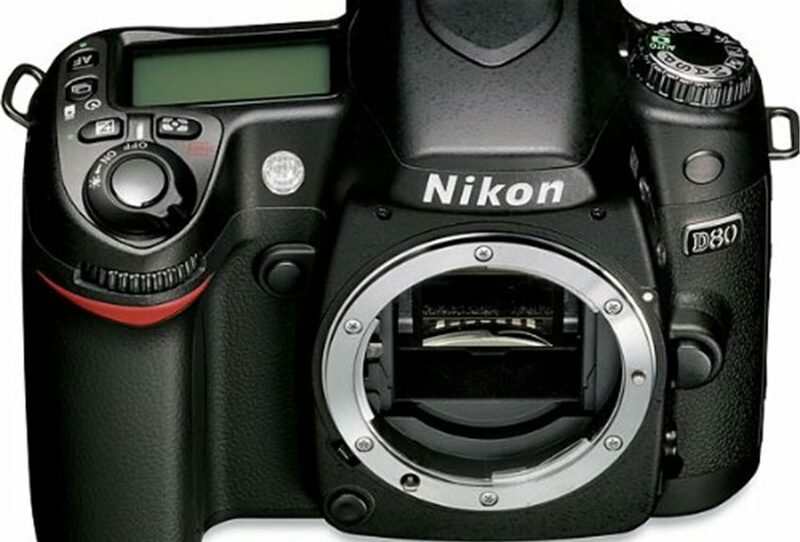 Front control wheel of the camera is vertical and differs from general positioning in other Nikon cameras. However, it is still very easy to use. In addition to the option to set exposure compensation and shutter speed dials on top of the camera, you can also see the control wheel on the back. There’s also a front control dial. Therefore, people familiar with other Nikon cameras will be comfortable using this one. As far as picture quality is concerned, Nikon 1528 DF 16.2 MP is able to provide much sharper image quality. According to most users, this camera provides exceptional quality in low light conditions, like Music festivals, weddings, night photography and other gigs. This camera also delivers exceptional noise reduction. For every benefit, you can thank the 16.2 MP sensor. In simple words, the camera works just like Nikon D4, minus the additional expense. The full-frame DSLR camera Nikon D610 is for enthusiasts who are upgrading from mid-range models and professionals who want an affordable backup for their higher-end models. Introduced in October this year, this camera replaces Nikon’s one year old model D600. D610 includes three new features: quiet continuous mode, faster continuous shooting and an improved system for automatic White balance. The first two features are provided by the camera’s shutter mechanism that has been newly designed to address the dirty sensor mechanism issue of D600. The D610 is capable of shooting at 6 frames per second in the normal mode and at 3 frames per second in the quiet continuous mode. The new automatic white balance system reproduces color accurately even in artificial lighting and skin tones that are more realistic. System: the autofocus module is multi-CAM 4800 with 39 points and includes 9 cross-type AF points; 33 AF points at the center operate at apertures slower than f/5.6, but faster than f/8; the 7 AF points in the center can operate at f/8 which comes in handy when telephoto as well as teleconverter combinations are used. as brightness, contrast, scene colors and subject’s distance within the time needed to press the release button of the shutter. Further, Nikon D610 comes with two video formats: shoot 1080p HD with frame rates of 34p, 25p or 30p and MPEG-4 AVC/H.264 compression and 720 HD at frame rates of 30p,50p or 60p for smooth playback of subjects that are moving fast or creating slow-motion footage at the time of processing. As the camera is Wi-Fi compatible, it is easy to share photos. The optional wireless mobile adapter WU-1b helps to transfer photos to the tablet, smartphone or any other Wi-Fi enabled device. In addition to the pop-up flash that is built in, Nikon Speedlight (optional) can be added to have enhanced lighting possibilities. the standard accessories that come in the pack such as rechargeable Li-ion battery, quick charger, USB Cable, LCD Monitor cover, rubber eyecup, strap, eyepiece cap, body cap, accessory shoe cap and NX 2 CD-ROM, the price is $1,999.99 for Nikon D610. The Nikon D80 packs a 10.2 mega pixel CCD quality image, which is going to provide enough detail for traditional sized images, or large photos as well. In .2 seconds, the 2.5“ LCD touch screen fires up, and you are ready to get started taking professional grade images, and quality video for any shoot you are doing. It can capture in both RAW and JPEG quality, allowing for a less grainy finish, and finer quality images; and, the built in burst mode allow you to capture three frames per second, up to 100 frames. This is ideal for a photo shoot, or for continual shooting in a fast paced environment. In camera retouching and image reshaping allows you to work on a picture, before it ever leaves the memory card, or is printed out. The 18-135 Nikon lenses are included, and image optimization features allow you to recreate, touch up, and perfect any image. Even if you are not shooting in great lighting, or if there are flaws in the images you are shooting, this camera is going to allow for discretion in your shots, and will allow you to capture excellent image quality, with the ability to touch up and work on the images, right from the touch screen LCD. If you are in a hurry, or want to capture an image that is moving, the LCD screen is going to turn on in just 0.2 seconds, meaning you do not have to wait several seconds to fire up, and do not have to worry about missing the perfect shot, no matter where you are shooting. Higher performance and resolution are both distinct features you can expect from this camera, which comes in a slimmer body than other Nikon professional grade cameras on the market. The high performance family of interchangeable lenses, also makes using this camera perfect for anyone looking for excellent quality, or looking to create a distinct series of shots, regardless of where they are shooting. An advanced auto exposure system refines any image, and makes up for grain and other poor quality lighting you might be shooting in, allowing you to capture the finest shots, regardless of the surrounding conditions that you are working in with your Nikon D80. Precision white balance is another great feature, preserving the integrity of any image or anything that you are trying to capture with the camera. Three optimized color modes also allow you to make up for poor shooting conditions, or allow you to enhance certain bright or dark areas that you want to capture, depending on the location of the shoot you are working on. A slim camera design also makes for a more ergonomic design, meaning the camera is great for anyone, regardless of how they like to shoot. Built in slide show functions and built in flash, also allow you to work on series of images, and capture the best quality image, regardless of the lighting situation you are shooting in, when you are working with your new Nikon D80 camera. If you want a great looking camera, a top name brand product, and something that is going to capture the best image and video quality, look no further than the Canon EOS Rebel SL1. With 18.0 MP, CMOS digital SLR capabilities, you will capture pristine, clear, image resolution, no matter where you are shooting. From 100 to 12800 ISO settings, you will get excellent picture quality regardless of the light settings, and regardless of how bright or how dark it is when you are taking pictures on your new camera. The DIGIC 5 image processor means you will get excellent image quality, as well as the fastest speeds, if you are going to be taking pictures of moving objects on your camera. A 9 point AF system, results in the best auto focus if you are shooting directly through the viewfinder, as opposed to the touch screen. A hybrid CMOS system also combines the best of high contrast and resolution, and high speed image capturing capabilities, and you never have to do the work, the camera will make the transitions for you. You can capture up to 4 frames per second if you are shooting in fast paced mode, and want to get clear shots of moving objects in a photo shoot. The EOS full HD mode also means excellent video quality, and 720 p image resolution when shooting video. The camera also features a built in microphone and auto adjust volume settings, so even if you are shooting in a noisy area, or can’t get the best voice quality during the video capturing, your camera will automatically adjust the noise and volume controls for you, so that you get excellent audio quality along with the exceptional video quality that you were able to capture on your new camera. A 3.0“, ultra sensitive touch screen is going to allow you to take perfect images or video, regardless of where you are; the camera is also ultra responsive, meaning no matter which settings you choose, the touch screen will respond to the slightest touch. The optical viewfinder, with .87X magnification also helps you capture the best image quality, even if you are shooting things that are very small, or are further away from the camera than you would like them to be when you are trying to capture an excellent image. A lightweight frame makes the camera easy to bring along on any adventure or vacation, photo shoot, or out to any special event you want to experience with your family and friends. If you are a professional photographer, or if you are simply an amateur that loves quality shots, this camera is sure to deliver on all fronts. With excellent video and image quality, a sleek design and body, and the built in features that make it nearly impossible for you to get a bad shot, the Canon EOS Rebel SL1 is a great product to consider. So, when selecting a new camera, this is a top prospect to add to the list when you are trying to find the best new product. 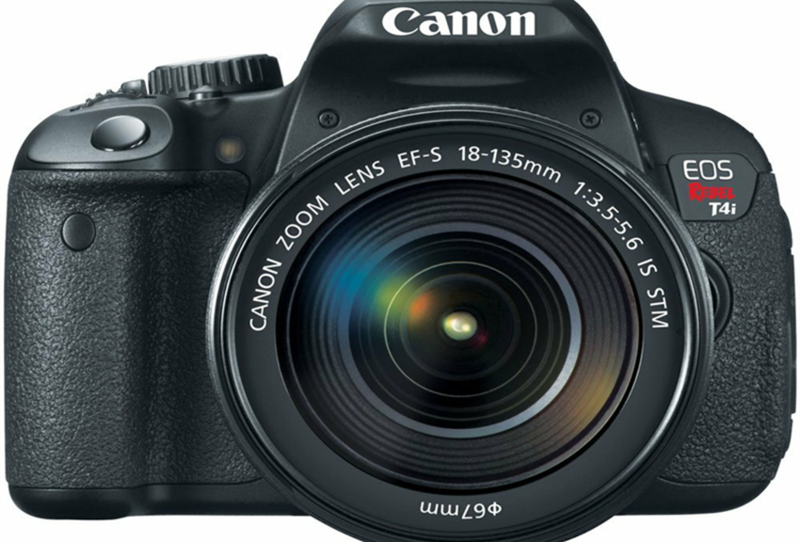 If you are searching for a new digital camera, with great features, image quality, and video shooting, the Canon EOS Rebel T5i might be the perfect product for you. It features an 18.0 MP, CMOS sensor, along with 14-bit A/D conversion. With an ISO of 100 up to 12800, you can shoot images anywhere; from dark settings, to the brightest setting, you will deliver a great final shot with the right settings. The DIGIC 5 image processor also guarantees quick shoots, and the best image quality, even if you are shooting or taking pictures at faster speeds. A 9 point all cross AF system is also going to result in the best auto focus settings, if you can’t find the ideal settings yourself when you are taking a picture; and, the hybrid CMOS is going to increase the auto focus speeds, if you are shooting at faster speeds, yet want to get excellent shots when taking multiple images at once. High speed shooting is also a possibility with this camera, as it is able to capture up to 5 frames per second, meaning one touch of a button is going to produce excellent quality, in the fastest settings when you are shooting one picture on top of the next one. – EOS full HD movie capabilities, and the Movie Servo allows you to capture and track a number of images in the video, in different resolutions depending on where you taking the video. – A built in stereo microphone and manual adjustments mean that even if you are shooting video in a noisy area, the camera will automatically adjust, so that you create great footage, as well as excellent audio quality. – A 3.0“ touch screen, with various angle touch capabilities, meaning no matter where you touch the screen, you can access the features you are trying to access on the camera. – The DIGIC image processor, will deliver excellent detail, in any situation; this along with the high speed continuous shooting capabilities, allows you to take pictures continually, in any situation, and still get the best image quality once the pictures are developed. – A scene intelligent auto mode means the camera does the thinking for you; even if you are shooting in poor conditions, the camera will automatically adjust to ensure you are going to get the clearest image, each time you snap a shot. Whether you are an amateur looking for a camera that will help you develop to the next level, or whether you are a professional and want a product that is going to ensure you always get excellent images and video footage, this is a great camera for you to consider purchasing. At around $1000 (depending on where you purchase), you are not going to find too many other cameras, developed by top manufacturers, that deliver so much. So, if you are looking to make a sound investment, and want something that is going to last for years and provide excellent quality images, the Canon EOS Rebel T5i is a camera to consider purchasing. 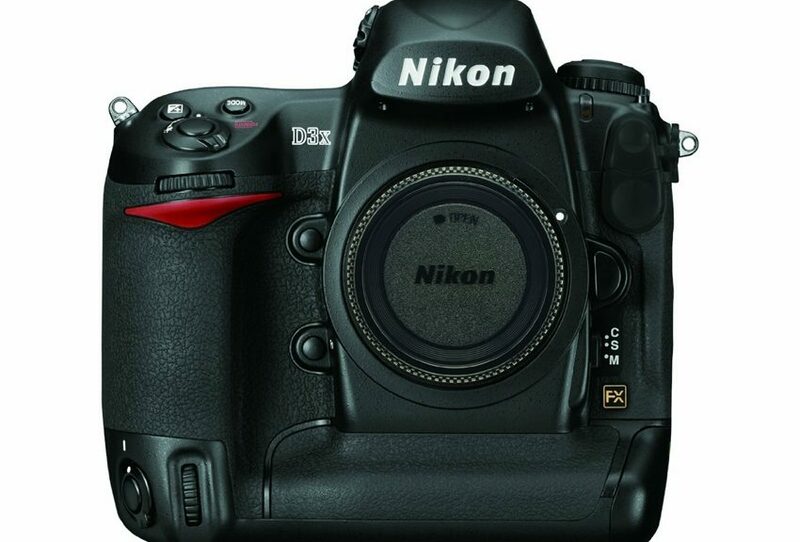 The Nikon D3 has made a huge impact in the professional sector and in the DSLR market. The D3 had an unmatched image quality which captured the minds of numerous photographers at the time. By releasing the Nikon D3S, Nikon was building on the success of the D3. The D3S has refined rather than completely overhauling its predecessor. In fact, there are very little changes on the D3S. It is very hard to differentiate between the D3S and the D3 at a glance. However, the D3S has some new improvements such a new video capture mode of 720x1280p and several other minor changes that make the camera more competitive than is predecessor. The minor improvements are both external and internal. The D3S uses a different sensor than that in the D3. It uses a new 12.1 mega pixel full-frame sensor (36x24mm). The new redesigned sensor supports 720p HD video mode and does better in low light conditions. The native sensitivity range in the D3S is ISO 200-12,800 which can be extended to ISO 100-102,400. It also supports a „shake-it-off“ cleaning system. Generally, the Nikon D3S is an unbelievable performer and has similar stats like the D3. It has a large buffer with more than 30 RAW frames in a single burst which makes it to respond very fast. 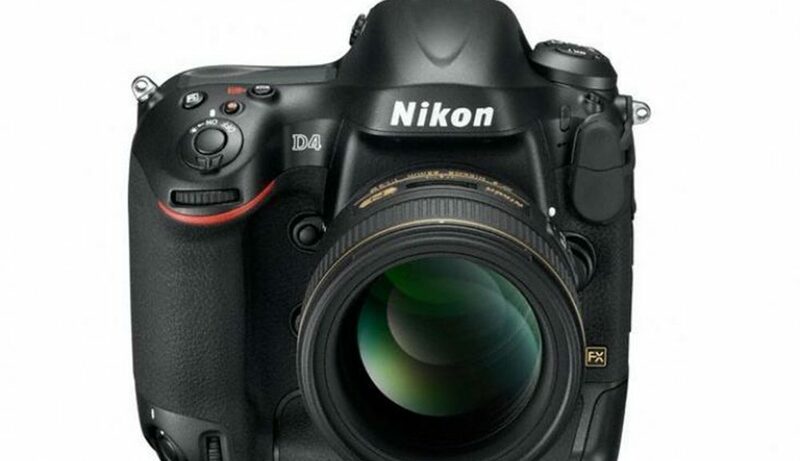 Nikon believes the D3S has a good battery life that can withstand 4,200 frames before recharging. In addition, the camera has a better white balance system that produces amazing images on automatic settings. The camera also has low-light capabilities compared to its predecessor. Despite its amazing ISO 100-102,400, the camera loses a lot of details. At native and low sensitivity ranges, the camera produces vibrant colors. The camera has a better Multi-CAM3500FX AF sensor which has been fine-turned to improve tracking and acquisition. Nikon has improved the handling of this camera by changing the user control menu into buttons and dials. For instance, the Live View button has been moved from the Shooting Method dial. Notably, you can set the noise reduction, Color Space and Picture Control buttons from the rear LCD without using the menu system. Despite its few shortcomings, the Nikon D3S is just amazing for photographers who value high shutter speeds, a good battery life and a superior performance in low-light conditions. Some features in the camera will definitely trickle down to the latest DSLR models. Although the Nikon D3S was built to ride on the success of the D3, it has better features that will capture any photographer. Nikon D600 proved to be an attractive package for a lot of photographers who wanted to try full-frame photography, but most amateurs were not happy about the financial outlay. It just seemed to be too much. Fortunately, Nikon D7100 was released and grabbed everyone’s attention. It offers advanced specifications in a reasonable price range. Although D7100 comes with only APS-C sensor, this should not be a reason to shy away. This is because D7100 offers 24.1 Megapixels, exceptional shooting rate of 6 frames per second and No optical low pass filter. You can even benefit from 7 frames per second if you choose to reduce the camera’s resolution to 15.4 Megapixels. 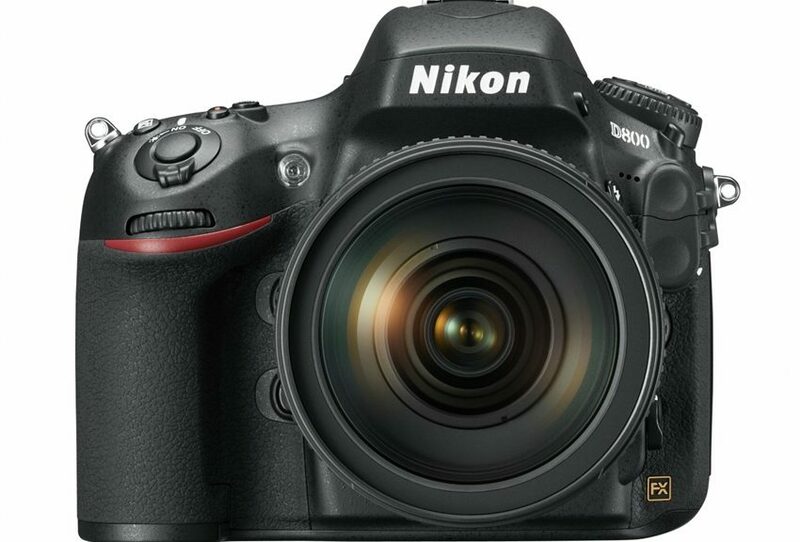 Nikon D7100 takes away anti-aliasing filter or OLPF to increase image quality and sharpness. Due to this feature, D7100 becomes the perfect camera for landscape photographers.However, it can sometimes cause a bit noticeable moire on videos and images. With D7100, Nikon is offering the new 51 point AF system. It also comes with 15 cross type points. This is much better than Nikon D600’s 39 point system. In fact, it matches the capabilities of professional D4. When you handle this camera for the first time, it will look and feel a bit similar to D7000. However, it is slightly bigger than its predecessor. It is even lighter and offers better handling. 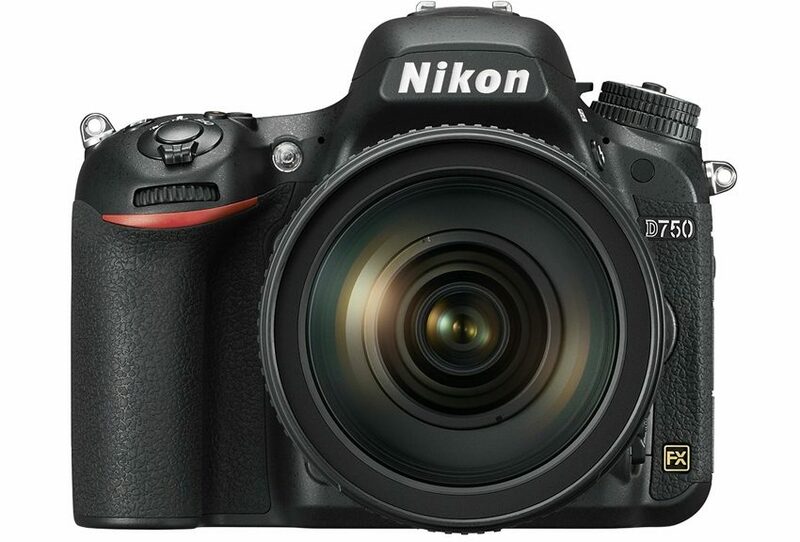 Just like other cameras from Nikon, D7100 also features a dual-dial control system. It can be used for changing shutter speed and aperture parameters. Other buttons in the camera are also easily accessible and allow you to even shoot with just one hand. The mode dial in Nikon D7100 also comes with a centre locking button. You can press it to adjust your shooting selection. D7100 has a large 3.2 inches LCD screen with some buttons you can use to easily access various camera function. For instance, you can press the i‘ button to bring up the most recent Settings for certain adjustments in your camera. The best part is that D7100 also features built in focus motor. It allows you to use even those lenses which don’t have their own AF motors. 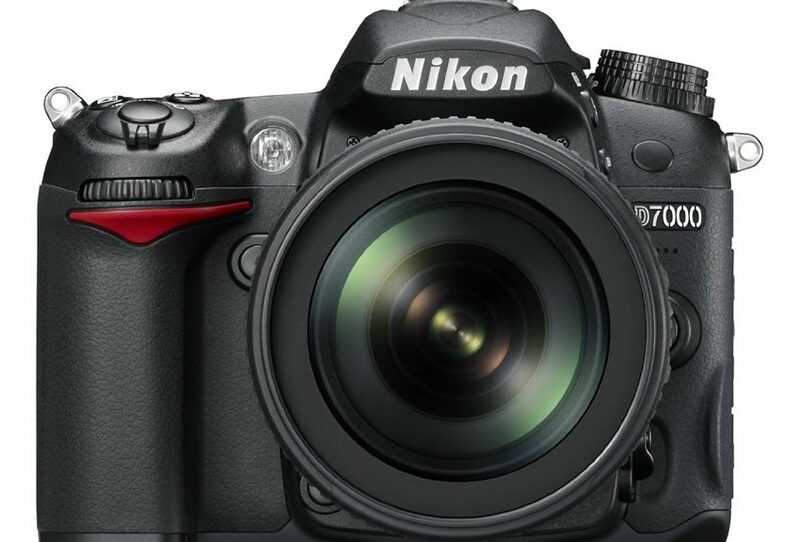 According to most customers, Nikon D7100 is an excellent performer. With this camera, you can easily grab almost unlimited JPEG shots in a continuous mode. 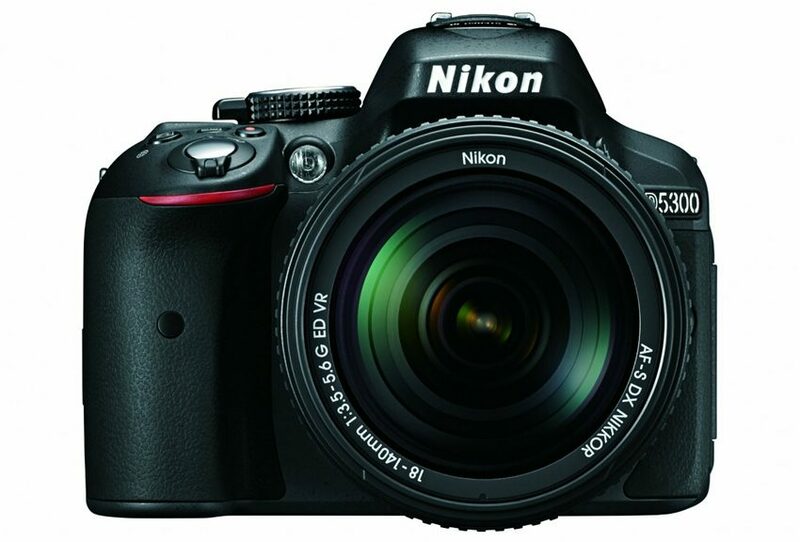 Nikon D7100 is an exceptional camera which offers sharper images. Unlike other cameras from Nikon in the same price range, this one offers much better image quality. This can be attributed to the removal of anti-aliasing filter or OLPF. It also seems that Nikon made some improvements in the automatic exposure and metering controls. The camera does not blow out highlights in certain areas like previous versions did. In addition to this, the dynamic range of D7100 is also exceptional. However, it seems to give more latitude in low light conditions rather than highlights. For almost every purpose, Video quality of the camera is also near perfect. It provides a sharp and clear Image from the sensor. Picture styles and default settings deliver an exceptional, contrasty image. Therefore, you will find it beneficial to easily switch to a flatter style and even play with the camera’s settings. It won’t be wrong to say that Nikon D7100 is a perfect combination of usability and performance. It is a proficient performer and caters to various needs of all kinds of photographers. was launched by the company as a high-end entry level Digital SLR. With this camera, Nikon is trying to target amateur photographers who’ve just begun to take an interest in photography, but want to step up from a standard budget model. In the last couple of years, D5000 has become extremely popular among photographers who want to ‚up‘ their game. this camera resembles its predecessor, D60. However, this camera includes a lot of key aspects of high-end cameras like D90. For instance, D5000 features HD movie recording and Live View. Moreover, it is also the first Digital SLR from Nikon to come with an articulated screen. also features Nikon’s vibration low-pass filter and Airflow system combat dust. also used the same kind of imaging pipeline which was used by the company in Nikon D90. However, D5000 additionally features 12 bit analog to digital conversion and EXPEED processor. It offers automatic lateral chromatic correction and Active D-lighting options on JPEGs. With this camera, Nikon has also tried to add some new and innovative processing tricks which go beyond the scope of Nikon D90. Some of these include Color Outline, Soft Filter, Perspective Controls and 1:1 & 16:9 trimming options. 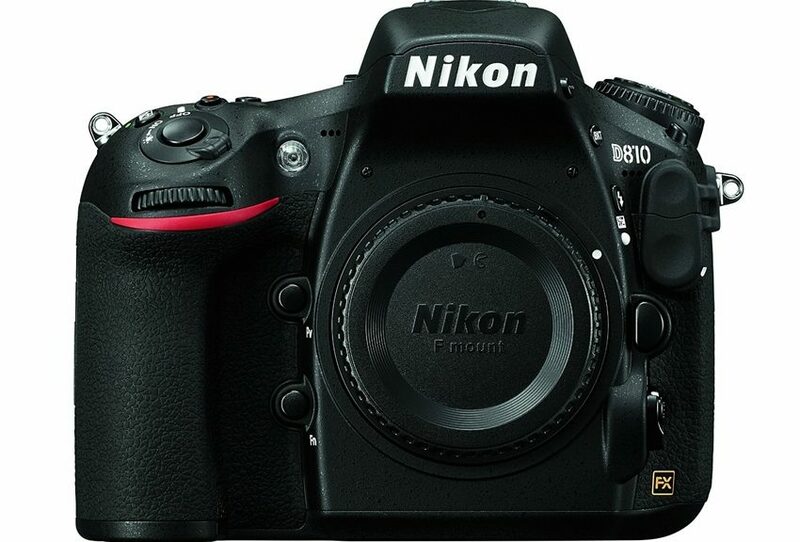 Nikon D90, shutter block in this camera is rated for 100,000 cycles. However, you might experience some problems with continuous shooting. It is not very quick. Unlike D90, Nikon D5000 features a bit slow speed with 4 frames per second. But, it is worth mentioning that most entry level Digital SLRs feature 3-3.5 frames per second speed. 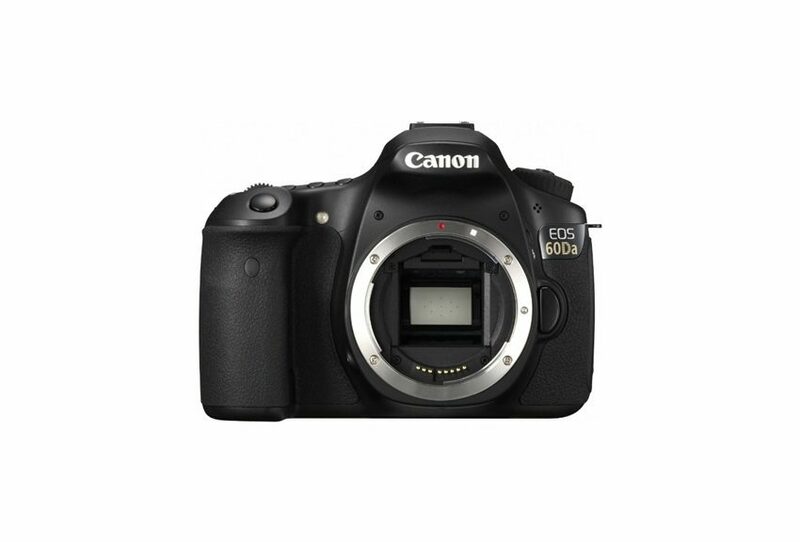 Therefore, D5000 is still considerably faster than other options available in the market in this price range. D5000 has also inherited the processing pipeline and sensor of D90. This way, it is able to offer two key benefits over previous versions. These include HD video recording and Live View. View is easier and more useful than other Nikon Digital SLRs because of the inclusion of an articulated screen on the back of the camera. Interestingly, this articulated screen is hinged at the bottom, but still allows flexibility while filming movies and composing in Live View. comes with the tried and tested approach of Nikon D90 with some additional features for a better upgrade. With a compact body, articulated screen and other features, this camera provide better noise reduction and picture quality. It is able to provide you with clearer and sharper images with some high quality lenses. Using prime lenses with this camera will be a much better choice. is very easy and fun to use. It is a very user friendly camera which will instantly become your most favorite companion. It is an exceptional DSLR with excellent performance. Features and benefits provided by this camera certainly make it worth a shot and outweigh the cost. It also works fine in low light conditions. You can easily and conveniently buy this camera online at a discounted price. When purchasing a camera, it is a good idea to buy from a trusted manufacturer; with the Nikon D700 you are going to receive just that, and several great features that will truly make your image quality stand out. With a 12.1 mega pixel, FX format, and CMOS sensor, you can’t get much better image quality than what this camera is going to produce. And, a large 3.2“ LCD screen, 92,000 VGA dot resolution, you can capture quality shots, and easily find the best features and shooting modes, when working with the touch screen for image capture. – Tempered glass LCD for optimal protection, and to avoid scratches, cracking, or other possible damage. – A 170 degree wide viewing angle, ensuring great image quality, and the ability to view your entire shooting field with every shot you take. – A 51 point AF system is both fast, and extremely accurate, meaning even if you do not capture the best image, the camera is going to do the other half of the job for you. – There is a 3D focus tracking, as well as two live modes that you can shoot in, giving you a wide range of discretion when taking quality images. A 100 up to 12800 base ISO range, can be expanded, and with a start time of just 0.12 seconds, you will never miss the opportunity to take a quality shot, or to capture something that you do not see everyday. With recording speeds of up to 35 mega bytes per second, you can capture anything, in quality still frame, and recording quality. A scene recognition mode also ensures you are going to capture excellent quality, even if you are not a professional photographer. The camera will automatically adjust for the scene and the environment that you are shooting in, to make up for any deficiencies in the shooting that you are going to do with the Nikon D700. This feature also allows for dust reduction, and eliminates any of the imperfections that may have made their way into your image; in turn, you will get a glare free, dust free image, even if the camera has to do most of the work for you. A 12 channel read out also allows for quick file transfer, when you remove the SD card, and want to transfer the images to a computer, or would like to print them out. The 100 to 12800 ISO range also allows photographers to gain a new found respect for any shooting conditions, and any lighting conditions they are in; the camera will make up for dim lighting, or will adjust automatically for a darker or lighter shooting arena, so that you can capture an excellent shot, regardless of where you are taking the images from. With several great features, and exceptional built in assistance, whether you are a professional photographer, or just a weekend amateur that wants to improve on your shooting skills, the Nikon D700 is a great camera to help you improve on certain skill deficiencies. The Nikon D200, originally introduced in November 2005 as a successor to the Nikon D100, is a midrange digital SLR camera that comes with a rugged body, plentiful controls and accessories, excellent image quality, compact design, superior build quality and strong performance. 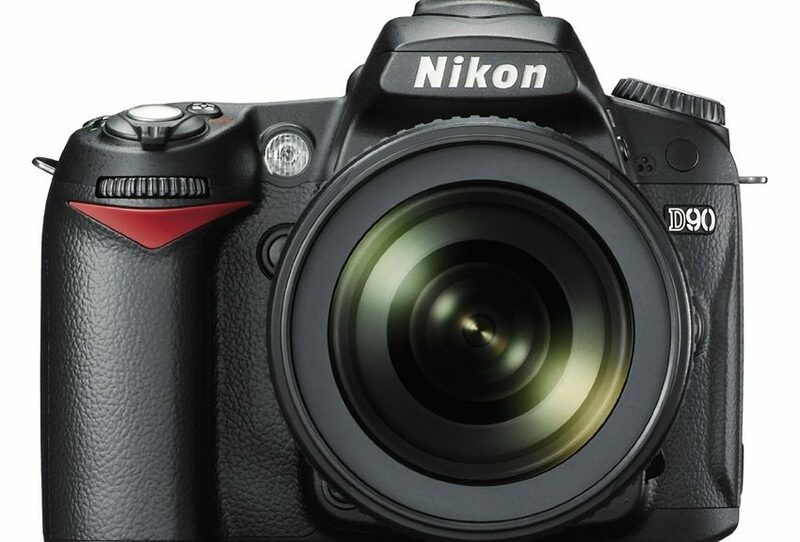 It represented a major upgrade over the D100 and shares far more with the Nikon D2X, the latest in Nikon’s series of DSLR’s, in terms of performance than its earlier version. It’s clear it was launched to compete with Canon EOS 5D. The D200 features a new design that seems like a hybrid of the Nikon D50/D70 and D2 series. The camera’s body construction, including the lightweight magnesium metal framing, is similar to that of a D2X camera. Its pop-up flash, battery and size are more like those of the D100/70/50 progression, but its feature set, menus and button layout mimic those of a D2X. The body feels light and looks right. The markings are clear and lines clean, giving the camera a smoother feel compared to the D1 series. Many of the camera’s controls and buttons are identical to those of the D2X, but the camera’s overall handling is easy and efficient. The Nikon D200 uses a 10.2 million pixel CCD sensor made by Sony, allowing for production of top quality 3872 x 2592 pixel images – enough to create straight-from-camera prints up to 11×16″ without the need for resizing. The battery performance is good, but it largely depends on how the camera is used. It produces a superb performance when shooting JPEG only. In fact, the camera can handle 800 (JPEG) shots per charge. But when it comes to shooting NEF or NEF+JPEG, it can be disappointing. The performance of Compact-Flash write is excellent, but it’s still below that of D2X. With the correct card, the D200 can easily achieve 8MBs write speed. The autofocus performance is also great. It’s better than that of the D70, but worse than that of the D2X. Like the D100, the D200 works best in low light conditions when the central AF sensor is the active sensor. The camera’s outlaying sensors are also good. With an excellent color consistency across the ISO values (96% at ISO 1600, 99% at ISO 100, for example), the Nikon D200 color integrity is simply wonderful. But the saturation may be slightly lower for Adobe RGB images. While its resolution is far below the D2X level, the D200 produces respectable landscape shots, with enough details. It packs plenty of pixels, and acquires and produces them very well. The Nikon D200 offers great value for money. It’s perfect for advanced users who need a good photographer’s camera with many customization features but are working with a tight budget. If you are looking for a great new camera, that is small and portable, yet can capture excellent image quality, you can’t go wrong with the Canon EOS 1D Mark IV. At 16.1 mega pixels, not many cameras can capture a clearer or higher resolution finish; and, with the APS-H CMOS sensor, and dual imaging processor, you can instantly capture a series of shots, in a matter of seconds. The ISO 100-12,800 is excellent for bright and dim light exposure, regardless of the noise levels that you are taking the images in. – EOS HD movie capabilities, with manual exposure control, giving you the freedom to choose the lighting and recording settings. – 16.1 mega pixel resolution for even clearer images, a crisp finish, and attention to detail, no matter what you are taking a picture of. – Shutter durability for up to 300,000 cycles, built in to a solid aluminum alloy body. Not only is it weather resistant, it is also going to last and withstand any shooting conditions that you put the camera through, and is built to last with a solid body and frame. – A 45-point area AF sensor, with 39 points for manual selection, and a fast focus, no matter what the subject is that you are shooting. – An increased range of real life shooting with the dim and light shooting capabilities, and the noise reduction from 100-12,800 ISO capabilities. A large, clear 3.0“ viewfinder is ideal for taking images, or for shooting video. The touch screen, LCD range finder makes shooting a breeze, and allows the user to quickly and easily select the features, the mode, and any other additions that they would like to make, when using the camera. The Canon EOS 1D Mark IV is also fully compatible with over 50 EF lenses, and a wide range of accessories can also be used with the camera. So, if you are a professional photographer, it is a great way to add longer, refined lenses, for a photo shoot. On the flip side, the accessories are great for amateurs as well, when they need to improve the image quality, or would like to add certain filters to the images that they are going to take, especially when they are not very skilled at using a professional grade camera for shooting and video recording. Flash photography, stabilizer technologies, the latest software updates, and a quality build and frame, are just some of the exceptional features that consumers will love with this great camera. And, with the trusted Canon name, consumers can be rest assured they are going to receive an excellent product, which is built to last for years to come. Although it is a bit higher priced than entry level digital cameras, for professional photographers and videographers, it is an excellent product, and it is one that is going to make shooting a much easier task, and create the best image and video quality possible. Canon EOS- 1D X Rebel SLR Camera: Combining Style with Quality. Canon 1-Series cameras have been the best choice for professional and amateur photographers for a long time. These cameras are robust but stylish in nature. The latest model of the series, Canon EOS-1D X Rebel is a notch above all others in almost all sectors, be it style or quality. With this model, Canon will give its competitors a run for their money in the market. Starting off with the features, the camera has a resolution of 18.1 mega pixels that will surely make it quite popular among professional photographers. On the other hand, an amateur will also be too glad to have such a high resolution camera under his belt. Something that separates this range of cameras from its predecessors is the fact that it does not auto-focus on the subject when making use of lenses or lens combos. The camera is well-equipped with a full- frame CMOS sensor that provides optimum performance. The full-frame offers better photo- sensitivity thereby directly delivering on the quality of photographs. 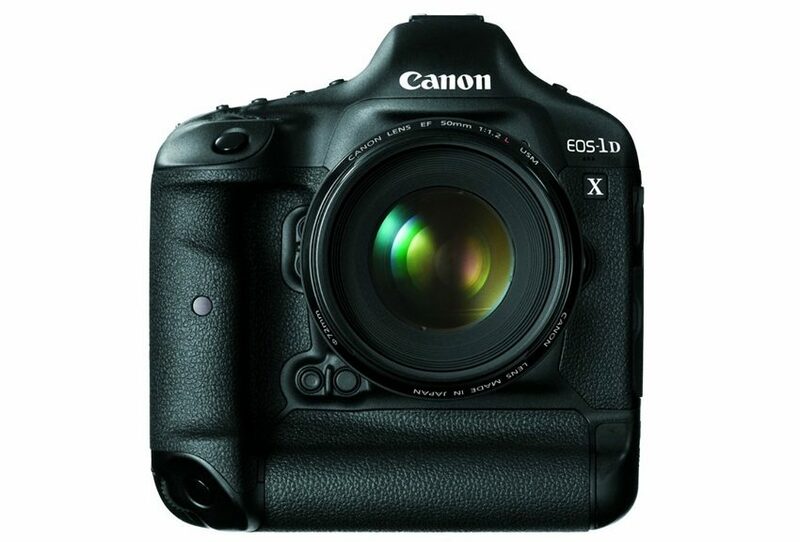 EOS-1D X range from Canon also has a sensor photo detector that works efficiently under many different conditions. With a resolution of 19.3 Mega pixels, the detector is one of the very best in business. Auto-focus is one of the most significant and mind-boggling features of the handy and stylish device. Contrast detect, multi-area tracking and phase detection sensors are fitted to the device. However, digital zoom is not available on the camera. What it lacks in zoom, it compensates in viewfinder magnification. JPEG quality obtained from EOS-1D X model of Canon is very fine and can be comfortably viewed on computer screens. Speaking about the digital screen, the camera distinguishes itself from all others, especially the other SLRs in business. With a 3.2” LCD display, the screen displays every minute detail of the photograph, thanks to the 1,040,000 screen dots that are present. The TFT LCD screen offers Live View too. This camera has silent control touch pad area. It also has dual CF (compact flash) card slots. EOS-1D X lacks a built-in flash but has a typical external flash connectivity. Self timer of 2 to 10 seconds is supported on the camera. Though mainly designed to click still images, the camera can also be used to record videos in MPEG-4 format. Some other handy aspects of this edition of cameras include GPS, Wireless connectivity, HDMI port services and N3 remote control connector. Now, comes one of the most important elements of the camera, its battery. The camera supports a rechargeable Li-ion battery. These batteries generally have a long life, but take a long time to get fully charged. A complimentary charger for the batteries is also provided along with the camera set. The camera is environmentally sealed and is resistant from all sorts of hazards like water and dust. The weight of the camera is 1340 grams its list price in U.S is $6799.00. These special features have put Canon EOS-1D X a class above all its competitors. With special improvisations, the camera is going to rule the market for some time now. For photographers who want to get up close and personal, the Nikon D3X is a great camera to consider. At 24.5 MP, FX format, CMOS sensor, not many cameras have a much higher resolution on the market today. The EXPEED image resolution technologies means faster image capture, and optimal speed if you are trying to capture more shots in a shorter time period. The 3“ super density touch screen is extremely sensitive, smudge proof, and is extremely crisp, if you want to use the touch screen to take images and get excellent quality shots each time you are ready to shoot. You also have the option of 2 live shooting modes, and continuous shooting can be set, being able to attain up to 5 frames per second, if you are shooting something that is in motion. As a professionalphotographer, the Nikon D3X is the definitive choice when it comes to selecting a new camera. If you need precision in every shot, and expect nothing short of perfection at a photo shoot, you can expect just that with this camera. Capturing NEF raw files, which produce 138 MB when captured, any photo that you take, whether it is on a photo shoot, in studio, or anywhere else, is sure to trump the quality of any other camera that you have ever owned in the past. With an ISO sensitivity range going from 100 to 1600, whether you are in extreme bright light, or low, dim light settings, you can expect excellent image quality with each snap. At 24.5 MP, you can see it all; extreme detail, attention to detail, and ever minute detail you want to capture, will be captured with this extreme close up view you can get with this Nikon model. With up to 27X magnification, you can’t get much closer, especially with the higher MP count; so, if you want a closeup, this camera is going to be really close up, and will capture every small attention to detail, light, color, shadow, and other details, that other cameras are bound to miss. You can select depth bit from 12, 14, or 16-bit, each one producing a stunning image, and smooth gradations if you are shooting in harsh conditions. With two shooting modes, you can capture extreme image clarity and quality; in the tripod shooting mode, you can also use the auto focus feature, to ensure clarity is achieved with every shot you take. A 51 point AF system, 3D focus tracking, and 3D color matrix metering, every image, in any setting, is going to come out perfectly, regardless of the surrounding circumstances when you are taking those images. With a rugged, aluminum alloy body, this camera is also indestructible. As a professional, nothing short of perfect is going to do. Although this camera will set you back (around $5000, depending on where you shop), the Nikon D3X is not going to disappoint. So, if you can afford it, and are purchasing a professional grade camera, this is surely one of the top contenders that you should be looking at when choosing the new camera. 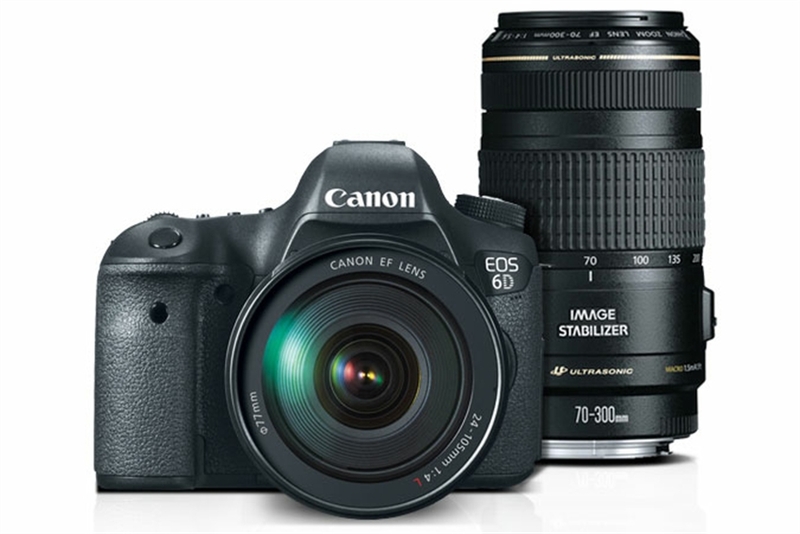 If you are shopping for a new digital camera, and looking to spend on a great quality product, Canon EOS 6D is a camera to consider. With a 20.2 MP, full frame CMOS sensor, 11 point AF points and 63 dual level metering sensor, you can take the perfect shot, regardless of where you are using the camera. With built in GPS and wi fi transmitter, you can create great video content, slideshows, and share them on the web with others, the minute that you do create them. With built in Android iOS, and the iMAGE Gateway feature, you can share your images, and upload photos, no matter where you are. – 100 to 25600 ISO range, for perfect images, no matter how narrow or large the frame you are shooting in is. – Full HD with manual exposure as well as multiple rate frames, for great video quality when you do shoot. – Newly designed 20.2 MP CMOS sensor (full frame) for the highest resolution and perfect detail, regardless of what you are taking images of, or what kind of lighting conditions you are shooting in. – Ability to shoot 4.5 frames per second, so you can capture things in motion, or put something in motion, with the touch of a button. – High performing composing and focus, low light focus, and the newly designed 21 mm eye point viewfinder, which allows you to find the perfect target, no matter where you are taking pictures. – A metering system that takes lighting and exposure in to account; so, even if you do not capture the ideal image, the camera is going to fix it for you, and deliver something that looks like it was taken by a professional photographer in the industry. With built in wi fi and the Android iOS, you can take a picture or record some high quality video footage, and you can immediately post and share it with friends and family. If you take a still image, the camera allows you to transfer it from your camera, to another still shooting device as well. The built in GPS system also allows you to find the perfect spots for filming or taking pictures; if you are on vacation, and want to find a specific destination or site, the camera is going to do the work for you, and take you to the destinations that you most want to visit. A high dynamic range, multiple exposure control, scene intelligent auto mode, and several other settings to choose from, the Canon will take the guesswork out of taking pictures or shooting high quality video. With the latest in technologies, the best built in capabilities, and a powerful name brand in Canon, you can expect nothing short of excellent performance with this device. Although it is a bit pricier than other cameras on the market, the latest technologies and built in features, and the fact that the camera does all the work for you, makes it well worth the price you will pay. For those who are looking for a more affordable option when shopping for a professional camera, the Nikon D800E offers several great product features, and provides users several unique features, providing a great shot and video quality, as well as a price tag that is lower than many other top names, when searching for a great quality camera. – 36.3 extreme mega pixel quality in FX format, coming from a CMOS sensor; not only is this much sharper resolution than most other cameras on the market, you are going to get extreme brights, lights, whites, and darks, with such precision capabilities. – Full 1080 p HD broadcast capabilities, better video quality, and minimal shutter interruption, for the best viewing pleasures. – The ability to view live and external modes simultaneously, so you can take images, while seeing what you have done in the past on the camera at the same time. – Comprehensive high fidelity audio, allowing you to capture every sound, at the best audible capacities, when you are recording video on your Nikon D800E camera. Much sharper resolution, and increased false color and moire, to eliminate color confusion and contrast. – Perfect for studio shooting, with various lens selection and aperture setting options, so you can decide on the opening of the lens when shooting. – Improved focus speed, allowing for more shots, in less time with the Nikon D800E series camera. – Improvements in focus metering, for ideal distances when shooting. – Improved overall shooting speed and movie recording capabilities. – Better location control and overall functionality, allowing for smooth transitions, faster shooting, and of course the improved resolution, even when you are shooting at the fastest speeds, from any shooting angle or location. With 36.3 mega pixel resolution, you are not going to find a camera that can produce much better shots, in any lighting and exposure, than what you are going to get from the Nikon D800E. In addition to this, the ability to shoot in full HD and have exceptional volume control and quality, are some features that you would not expect from a point and shoot camera today. So, for those who are looking for a budget friendly choice, whether it is a first camera or an upgrade from the 800 series (or any other cameras), with Nikon you can expect excellent quality, and when you choose the Nikon D800E camera, you are going to receive just that in your new camera. If you take aim at the sky when you take a picture, the EOS 60Da is a camera that has been specifically designed for you. As an astro photographer, this camera has ultra sensitivity features, for excellent resolution, color sensitivity, and to help you capture the best shot, whether it is a full range of motion, or a beautiful night sky that you want to remember. The 18.0 MP CMOS sensor is ultra sensitive to light, and increased IR sensitivity means any light settings you are taking a photo in, will result in great image quality when you look at the end result. The 3.0“ clear LCD touch screen makes it simple to capture your subject, and instantly take any shot you want to capture. An ISO range from 100 to 6400 makes this camera the perfect solution for star and night gazers. The increased IR sensitivity means crisper reds, brighter yellows, and a built in blocking filter means that light which is generally blocked out by DSLR cameras, to be captured by this model. The camera will provide images that are a clear representation of what you see in the sky, and will produce the sharpest image quality that you can get when specifically taking images of the night sky. The 18.0 MP allows you to easily crop images, and take a close up of any image you have shot, without having to worry about losing resolution or image clarity, when you do crop and zoom in on any one image. The DIGIC 4 processor means that your shots are taken, captured, and saved, even when you are shooting at the fastest speeds. So, if you are taking aim at a shooting star, or other night sky show, you do not have to wait, and hope that the camera is going to catch the images; at 5.3 frames per second, you can continually shoot, and receive excellent quality each time you snap a photo through the viewfinder. A new remote control adapter has been included with this model as well. It has an auto timer switch, an interval timer switch, long exposure timer, and an exposure counter setting feature, allowing you to set the timer to get the best image quality; you can choose to set the timer from as low as 1 second, up to 99 hours apart when you are taking any photo, of anything that you are trying to capture up above head in the sky. As an astrophotographer, there are quite a few beautiful images you would want to capture; from a shooting star to gorgeous sunset or sunrise. Regardless of what you want to capture, if you have used other cameras in the past, consider this EOS 60Da, which is specifically designed to capture these images, and produce the finest clarity and image resolution. When you are pointing up at the night sky, and want to capture the crisp, beautiful image and color resolution, Canon has delivered with this new camera, and the different new features and accessories you can purchase to use with it. The critically praised and excellent Nikon D80 has a worthy descendant, in the form of the new Nikon D90. Boasting an impressive 12.3 megapixel sensor, compared to its predecessor’s 10 megapixels, the D90 brings also some new stunning improvements that will likely make it one of the best medium level DSLR cameras on the market. Surely, the competition is fierce as it is, with Canon bringing the older 10 megapixels 40D to the table, while Sony bringing the Alpha DSLR-A700 in the game. Holding the Nikon D90 brings the first conclusion. Sitting at 1 pound and 10 ounces, it is heavier than its predecessor, but in terms of size, it is about the same as the D80. Also, the grip, the battery package and setting is the same, while the flash controls and speed flash features have changed only a little. There is a new and improved dust prevention system, a better shutter durability, making the D90 even better than the D300 in this regard. Good enhancements were made to the LCD screen as well, now having a high quality-polymer covering, instead of glass. The camera is comfortable to hold and the weight difference is almost unnoticeable after a while, while the navigation controls are easily accessible even for the novice user. Of course, if you are switching from another brand, you should expect some accommodation time to the Nikon buttons and dials. For instance, the D90 has the ISO, quality and white balance controls on the left side of the LCD, compared to other brands. The dedicated Live View button is located to the right of the LCD screen, featuring a four-way switch, including the OK button. The dials also include a switch to lock the navigation mode, the AF settings button and a context sensitive button. While setting the various features, you can adjust the AE-L/AF-L behavior, the Fn button, the long exposure noise setting. The custom settings area includes the AF mode choices (Dynamic, Single Point or Auto) and the self-timer delay feature. The Nikon D90 boasts an excellent movie making feature, with an impressive 1,280×720 maximum resolution at 24 frames per second. It also supports both motion JPEG and VR optical image stabilization. Some downsides however are the monaural sound and the only manual focus during filming. The camera relies on the TV to make the conversion to HD resolution for images, while the 24 fps doesn’t actually match the 23.976 fps most TVs have, resulting in occasional stuttering. Another feature included in the Nikon D90 is face detection, enabled in the Live View settings, part of the Expeed image processor. Nikon has included the face detection algorithm to work with metering and the AF. Other improvements over the predecessor are new shooting controls, new Active D-Lighting parameters, custom Picture Control settings, advanced scene modes with every parameter previous installed available, as well as an automatic shutter slower when the camera has a VR lens attached. The camera also includes a socket for GP-1 GPS device. On the whole, the new Nikon D90 is a worthy successor for the magnificent D80, featuring improvements, better overall design and features. While lacking in certain aspects, such as a slightly confusing menu and settings dialogue, the camera is definitely an excellent medium ranged DSLR. The Canon EOS 5D Mark III DSLR Camera is a 22.3MP full frame DSLR, showcasing extraordinary still image and video recording capabilities. With the upgraded DIGIC 5+ Image Processor of Cannon and 14 bit A/D conversion, this professional DSLR camera is geared up to produce remarkably detailed images with great low-light sensitivity which is further assisted by the extended ISO range up to 102400. Quality of images is further improved by the unique 61 point high density reticular Auto Focus (AF), containing around forty cross type AF points and five dual diagonal AF points for guaranteed sharpness. The iFCL metering works well in combination with the improved AF system and utilizes color information from the objects or scenes to generate the ideal exposure readings with a 63 zone double layer metering sensor. Moreover, Multiple Exposure and HDR modes offer much better creative opportunities. These will help you to minimize the amount of time needed for the post processing to have high quality images. Again, the Canon EOS 5D Mark III is also able to record full HD quality video with manual exposure control and multiple frame rates, which include 1080p 30fps and 720p 60 fps modes. You can also take still images with a speed of 6 fps. The cannon 5D Mark III has a 3.2 inch 1,040,000-dot Clear View II LCD monitor with features such as reflection resilient multi-coating and high transparency screen to give you the required viewing experience, even under bright lights. The Intelligent Viewfinder combines a superimposed LCD, offering you all the necessary exposure information. Most importantly this LCD monitor provides 100% field of view. The highly durable magnesium allows body borders the elements and provides increased weather and dust resistance. An upgraded EOS Integrated Cleaning system also provides support to reduce and take out dust from the body of the camera. A couple of the physical controls, on the Cannon 5D Mark III camera body, are completely customizable to ensure that you have a more functional workflow and easier handling design. Double CF and SD memory card support improves the compatibility of this camera. 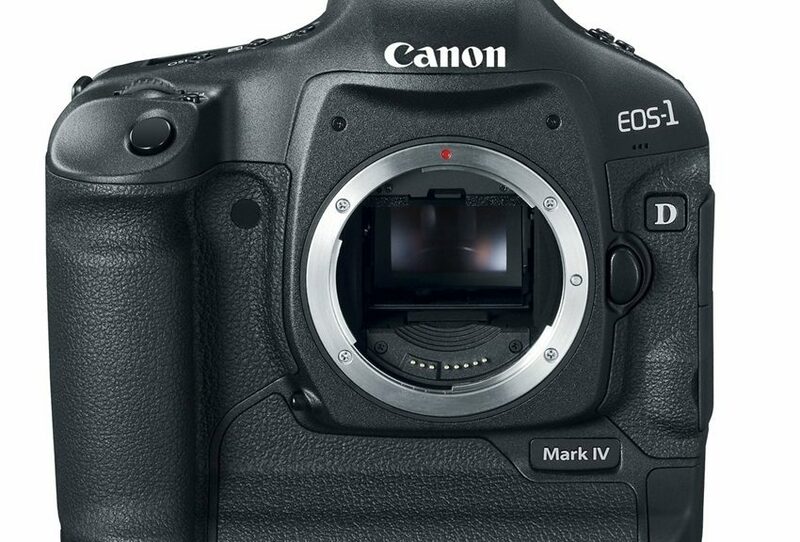 So, What Are The Key specifications of The Canon EOS 5D Mark III? It has a full frame 22MP CMOS sensor. It provides an ISO range of 100 to 25600 in standard mode, and 50 to 102,800 in expanded mode. With this camera you can have 6 frames per second (fps) continuous shooting. It is understood to have a shutter count of 150,000 frames. You can have 1080p 30fps video recording feature with stereo sound recording via external microphone. It has 61 point Auto Focus (AF) system. You can also have 63 spot iFCL metering system with this camera. Unlike the majority of the crop body DSLR cameras, it provides 100% viewfinder coverage. It also has a LCD monitor with 3:2 aspect ratio and 1040k dot resolution. It supports dual card slots for SD as well as CF cards. Apart from these, the DIGIC 5+ image processor, built-in Multiple Exposure and HDR Modes, durable magnesium-alloy body and many more exciting features have made the new Canon EOS 5D Mark III Digital Camera a potential market leader in the industry. Nikon D600 is manufactured to cater enthusiasts looking for an affordable full-frame DSLR. If you are planning on upgrading from a mid-range model to a less expensive higher-end camera, Nikon D600 might be a perfect choice for you. Introduced to the market previous year, this model is positioned between Nikon D800 and Nikon D7000. It combines a number of features of both models. Getting substantially closer to the conventional SLR (35 millimeters), this model carries a low cost as compared to any of its full-frame predecessors. You get 100 percent viewfinder coverage along with the new 24 Mega Pixel FX format sensor (full-frame). The 3.2 inches screen is undoubtedly one of the most prominent features this camera offers in addition to the twin SD card slots. Nikon D600 comes with a 39-point AF system, which is well-matched with lenses up to f8. It also features a built-in AF motor that can drive non AF-S lenses. With an extended sensitivity range of about 50 to 25600 ISO, D600 provides amazing opportunity to the photographer to be artistic and imaginative. It offers 2016 pixels metering sensor plus a built-in flash. 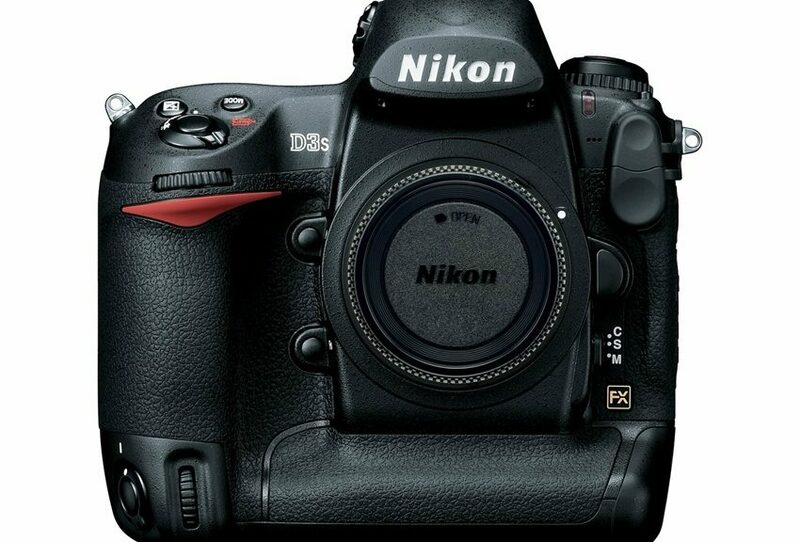 Nikon D600’s interesting movie mode presents 1080 pixels at 24, 25 and 30p. It includes the mic input, DX-crop mode, a headphone jack and HDMI output just like Nikon D800. Moreover, Nikon D600 works with wireless adapter (WU-1b) that allows remote control functionality with compatible iOS and Android devices. It offers 24.3 Mega Pixel CMOS sensor (Full Frame) plus 10.5 Mega Pixel DX format crop mode. Nikon D600 seems like a firm, well-built semi-pro DLS. It is smaller in size as compared to Nikon D800. It is noticeably lighter than other Nikon cameras. The different is enough to make you feel good about carrying it around all day long, but not too much to raise questions about its quality. Nikon D600 offers a smaller grip than other models. However, it retains a small notch inside that makes the user feel a firm hold. Two command dials are present on the top of the camera grip. The main command dial is present on the rear panel. The sub-command dial is customizable, but the main purpose is aperture control. Nikon D600’s rear panel control outline is somewhat of a hybrid, merging features from both D800 and D7000. The 3.2 inches LCD screen is similar to that of Nikon D800’s. It is a VGA screen having 3:2 image area and 4:3 proportions. This model comes with an AF-S 24-85 millimeters, f 3.5-4.5 G ED VR zoom lens, which is ideal for those who have just started working with full-frame body. Most interestingly, Nikon D600 is compatible with DX lenses. Therefore, individuals planning on upgrading their cameras will not have to replace all the lenses, because DX lenses possess small imaging circle as compared to the FX sensor. Nikon D600 was introduced to the US market in September, 2012. It is available for $2,100 (body only), and for $2,700 with the kit. Overall it is a capable camera and worth buying. One of the most anticipated Nikon cameras which after 3 years inherits its iconic predecessor, the D700. 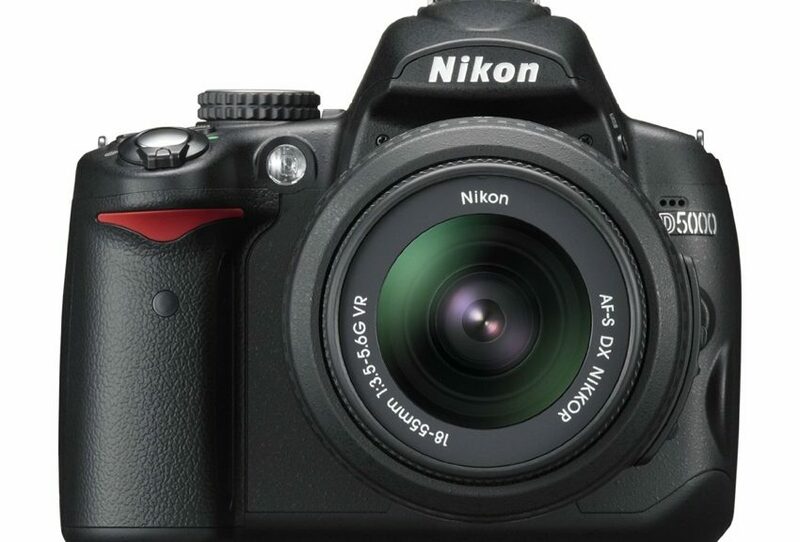 What makes it most different from the D700 is the 36 megapixels sensor and the ability to record full HD video. Fans of video recording will be pleased, however, it still needs to be seen whether the new D800 will shake up the status of Canon’s 5D Mark II. Nikon D800 has a viewfinder with 100% coverage and ISO setting range from 100-6400 (50-25600). New EXPEED 3 processor is responsible for photographing and recording together with the new 91,000 pixel RGB sensor Matrix. The mechanical design keeps the Nikon’s camera body tradition. The body is made entirely of lightweight magnesium alloy, and, of course, it is water and dust proof. Design of its predecessor D700 is significantly rounder and is also 10% lighter. Otherwise, the company holds the line appearance; the body is traditionally all black, with just a little red design element on the shutter button. Otherwise, the solution buttons and controls are very similar to the previous model, making the transition to the newer model certainly a lot easier. Subjectively, we’d say that it’s a bit larger than its predecessor; therefore it lies better in the hands, especially in those photographers with large hands. At first glance, the size of the new LCD monitor on the back of the camera was increased to 3.2 „, and its resolution is 921,000 pixels. Menu design has remained virtually the same, also, the viewing angles are great and you can rotate the camera in all directions and the visibility is always the same. It’s also interesting to look through the viewfinder, which is really great and t shows 100% of the scene. The focus screen is displayed and the user can also display the framing grid for architectural photography. And not only that, the viewfinder can display biaxial virtual horizon with which you can compare the exact image without moving the camera from the eye. On top of the camera is the usual LCD screen that displays all the necessary information. Beside the screen, a separate button to start recording videos is added. Next to the lens are a few of the key buttons that can be assigned to almost any function. Otherwise, everything else is more or less the same, proven management scheme and layout control. The only downside is that the possibility of adding a backlight control button with the LCD screen was not taken. With the excellent mechanical design, ergonomics and comfort control of the Nikon D800, there is nothing really to criticize. The 36.3 megapixels FX-format sensor and superior autofocus system offers an unprecedented level of depth and detail in your photos. D-Movie Full HD resolution offers all the flexibility you need for broadcast quality video and if you seriously want to develop your creativity, D800 is the best way you can do it. The Canon Rebel T4i 18 megapixel Digital SLR Camera, is one of the latest DSLR cameras to be brought to market from Canon. Comparing it to its earlier model, the Rebel T4i has an improved image sensor; better video and live view autofocus capability, and faster shot rates. The look and feel of this camera is similar to the previous two versions of the T_i series cameras. It is a compact lightweight camera (though it is about a tiny bit heavier than the last model) that hasone control dial at the front and a 4 way control at the back. As an upgrade, this model now features screen touch control. Not everything has changed though, if you have any experience with previous Rebel models, the menu will be quite familiar to you. With a total weight of about eighteen ounces this camera is an easy take-a-long for long trips. 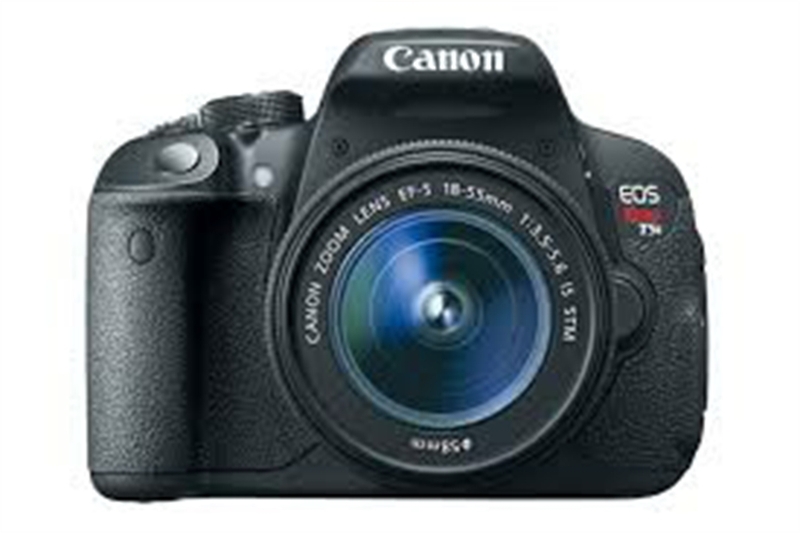 The Canon Rebel series of cameras are great for beginning users of SLR cameras. They are generally simple to use and handle. The T4i model comes programmed with a number of automatic scene settings, which make shooting in different settings easy as pie. The menu now responds to touch commands and is organized by a color-coded schema. There is a quick menu control option that can be accessed by simply pressing the Q button at the back of the camera. This gives the user quick and easy access to all the shooting options. While this camera is not small enough to fit in pants or jacket pockets, it is among the smallest of the DSLR cameras. Therefore, you’ll probably still want to carry it around in a camera case. The Rebel T4i is set with all the standard modes of a DSLR camera including auto mode, drive & burst mode, playback mode, and movie mode. This model features a dedicated video recording switch, which allows the user to quickly switch the camera into recording mode. This camera is particularly suited for users who are new to controlling camera focus, exposure, ISO, balance, and picture effects; but it also allows enough control for DSLR camera pros. Some hardware upgrades have been made in the Canon T4i. The sensor on the T4i has been redesigned to include an 18 mega pixel image sensor. It is an APS-C image sensor that is an in-between phase and contrast detection autofocus. The LCD display is the same as the T3i model, except with the touch control option. The viewfinder is large, clear, and bright and gives almost complete coverage of the final image frame. The flash is a standard model, which flips up from the camera’s body. The jacks, plus, and ports are the same as in the previous model. There is a mini USB and HDMI slot, a mic port, and two remote socket terminals. The 18-55 f/3.5-5.6 is the standard kit lens, which cost an additional $100.00. 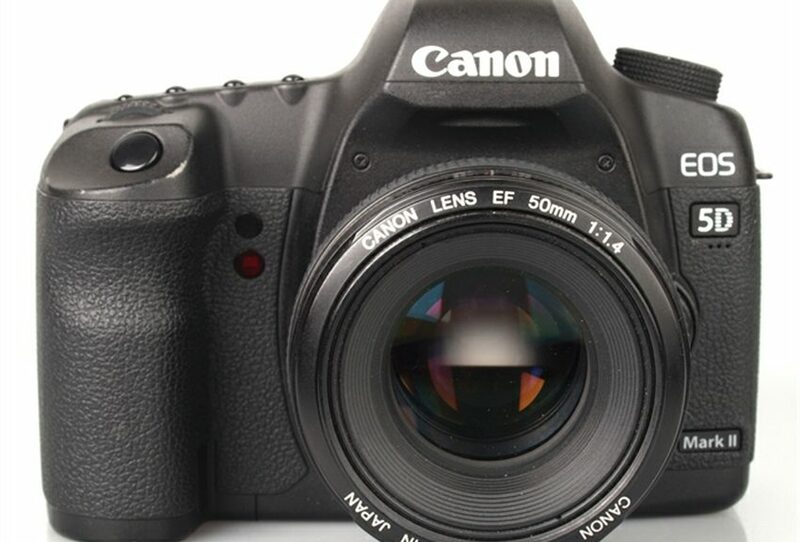 Overall, the Canon T4i DSLR Camera is a great option for both old and new users of DSLR cameras. It is a lightweight camera, with a simple menu system, that takes high quality pictures and video recordings. If you are thinking about upgrading your digital SLR camera, this model is worth taking a second look at. Nikon D5200 – The Definitive Must-Read Review! If you want to capture photos at incredible levels of detail and accuracy plus record flawless HD video at ultra-high frame-rates then the Nikon D5200 with its 24.1 Megapixel image sensor is definitely worth considering. However, with several cameras on the market at a similar price level, it is essential to first know if it is the best model available before handing over your cash. Thankfully, we have put together this definitive review to provide you with the answer! Outstanding Performance In Low Light Levels! One of the most impressive features of the Nikon D5200 is its fantastic performance in low light conditions. Many cameras, even those significantly more expensive than this model, can struggle to deal with poorly lit environments. Nikon has included the latest specially developed technology to overcome this. This ensures that, if you purchase the D5200, never again will a special moment be poorly captured due to less than optimal lighting conditions. Perhaps The Greatest Picture Quality In The World! Any claim to produce the highest quality image ever seen from a camera would rightly be met with skepticism. However, in the case of the Nikon D5200 it is a claim which is actually true. You will be staggered and blown away by the incredibly detailed, high resolution images produced by the 24.1 Megapixel CMOS sensor. The colors are vivid and the contrast is perfect which combines perfectly together to produce the clearest, crispest images you’ll ever have seen. Shoot Perfectly Smooth Full 1080p HD Movies! Not only does the Nikon D5200 capture photos in mesmerising detail and clarity but it also does the same when shooting video. Even shooting at the ultra-high and extremely demanding HD resolution of full 1080p, the D5200 doesn’t skip a beat and produces the smoothest, silkiest videos you’ll ever shoot. Quick Battery Charging – 90 Minutes Or Less! For serious users of a high-quality camera such as the D5200 it is vitally important that it charges efficiently and is fully charged and ready to use quickly again. Here the camera excels with it fully recharging in less than 90 minutes with the included charger. What’s more, it has excellent battery life with 1000+ photos being able to be taken on a single charge in most cases. Tremendous Quality Build, Feels Good In Your Hands! It’s important when spending a good chunk of change on a new piece of technology that it feels good to use; that it’s comfortable and sturdy in your hands. Once again, the D5200 shines in this department. It is lightweight yet durable and feels really comfortable to use. If you’re looking to take your photography and recording to the next level then you’re really going to love the stunning special effects that can be added to each photo and movie. Options include Silhouette, Selective Color and Color Sketch – all of which can take a great clip or photo and make it extraordinary. Normally certain types of photograph can be quite difficult to take for even the most experienced of photographers. Thankfully the D5200 makes it easy with 16 scene modes which automatically configures the perfect settings for whatever scene you’re shooting. This is extremely helpful. Summing Up – Simply Fantastic! When looking at all of its features in combination it quickly becomes clear that, at this price point, the Nikon D5200 is an unbeatable proposition for serious photographers and video recorders. With unparalleled image quality and a whole host of tremendous extras it is definitely a brilliant choice – highly recommended! When it comes to accuracy, flexibility, modernity and quality nothing beats Nikon D7000. It comes with lots of features that not only make it convenient to handle but also very friendly to easy to use. D7000 introduces a complete change of affairs-in the Nikon line of products. Unlike its predecessors which were at times faulted for being overly priced and clumsy, this camera model comes with lots of goodness. It retails at fairly competitive prices and has all the essential inputs and features that every prolific photographer would wish for. At a glance, D7000 closely resembles D90. In fact it’s quite common to come across review articles pitting the two models. Important for tight photo cropping and large format printing. An essential feature for shooters who want to cast away any worries of running out of memory during a session. Please note that one can utilize the memory cards in different modes-with one card complementing the other. D7000’s wide screen comes with 170 degree viewing capacity. It is known to deliver crisp clear and precise images. This feature gives you the freedom to choose from various scene modes like: child scene mode, sports mode, landscape mode, portrait mode etc. It is essential for the delivery of remarkable results even in challenging physical conditions. This feature opens D7000 to the rest of the world-quite literary. With built-in HDMI connection you can use the camera with your HDTV. In fact you can control it with most HDTV remote controls-now that is what flexibility is all about! Unlike other typical camera models available in the market today, D7000 allows you to choose from a plethora of picture look options. This is a fantastic feature for users who would like to add a personal touch to their work. Among the picture control choices that you can choose from include: monochrome, vivid, neutral, landscape and portrait control modes. This ground breaking addition crowns the D7000 camera model the king of control and accuracy. With this 2016-pixel RGB feature, you can enjoy more light metering control flexibility. In addition, the feature makes it possible to optimize the performance of other features like scene recognition system and white balance. This last feature is purposely installed for movie recording. It is essential for the production of cinematic quality images. Well a few qualms with the otherwise superbly designed camera would be that its grip is not really that coarse. This is however compensated for by a pronounced bulge. Nikon D7000 is not just superior. It is the king of the digital camera revolution. Safe for the minor downsides (this is expected with any device), the camera stands tall as a superb choice for anyone looking to enjoy a different chapter of photography. We highly recommend this product! 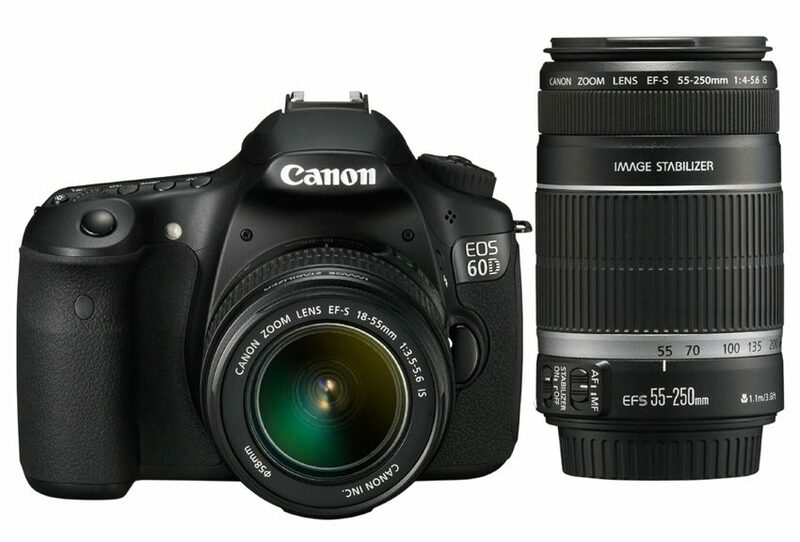 The EOS 60D model is certainly one of the best cameras manufactured by Canon. It is a fast, efficient and highly accurate camera that is becoming increasingly popular among both amateur and professional photographers. Here you will find the advantages and disadvantages of Canon EOS 60D Rebel Camera, along with its main features. One of the most important aspects regarding this camera is that it is extremely fast and it delivers outstanding images and video recordings. The reason why this camera is so accurate when it comes to image quality is that it combines the best features of several other cameras and upgraded features from the 50D model. Another advantage of this camera is that, as stated above, it is suitable for beginners, semi-professionals and professionals in the field of photography. It has a user-friendly interface and a comprehensive menu that makes it very easy to use. Moreover, the camera has an innovative feature that allows users to quickly convert raw images into JPEG format in the camera. In addition, it is SDXC compatible and the batteries are long lasting as well. It must be mentioned that unlike its predecessors, this camera model does not have a metal body: the body of Canon EOS 60D is entirely made of plastic. This makes the camera very lightweight, yet safe and durable in the long run. Moreover, besides the fact that it is less heavy, the camera is also considerably smaller compared to its predecessor, the 50D model. Perhaps the main disadvantage is that this is not the most cost-effective camera available on the market, and this is why beginners in the art of photography may not afford purchasing it. Nevertheless, the price/quality relationship is undoubtedly a great one, since Canon EOS 60D provides a wide range of high-quality features that are absolutely indispensable for photographers who want to make a living out of their hobby. Another disadvantage is that when you use the movie mode you cannot use the auto-focus feature, and this aspect is particularly bothersome for those who work a lot with the movie mode. Also, accessing the movie mode can be slightly difficult at first. The camera allows you to add various effects and filters to the images you have shot. Besides, this 18 MP camera has a HD video recording feature which makes it perfect for those who are looking for a camera which can provide high-quality, crystal clear videos. 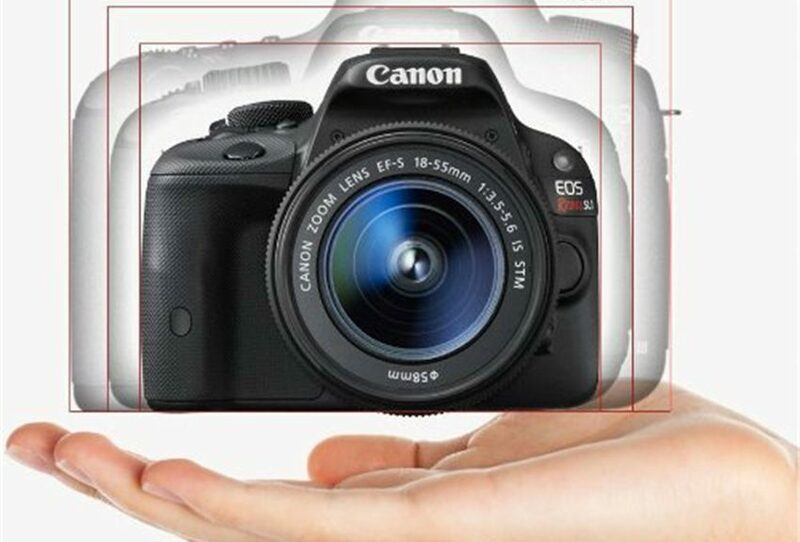 The Canon EOS 60D Rebel camera has a 3-inch screen that clearly displays the images you have taken. Thanks to the generous display, you can observe even the finest details. The leveling features along with the color-detecting systems are by far some of the most important qualities of this camera. 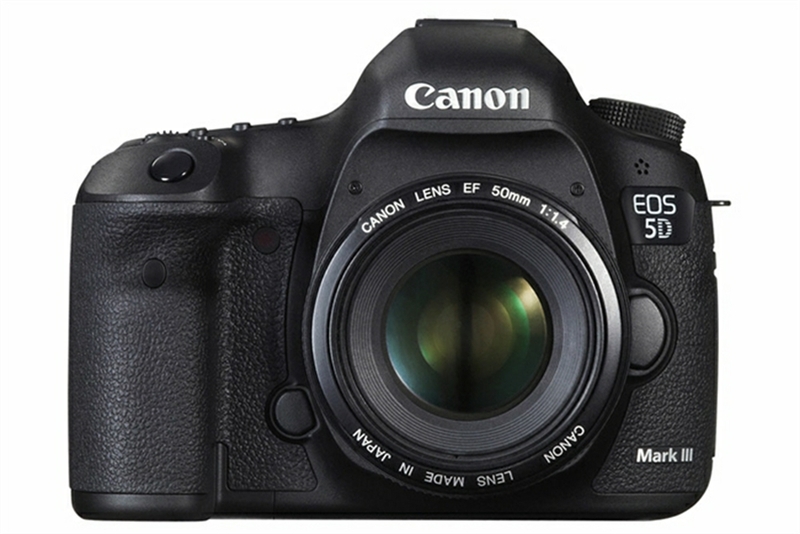 Nevertheless, the unique feature of EOS 60D is the Vari-angle LCD. This handy feature is very easy to use due to its smooth movement and it makes photography a lot more pleasant. To sum up, these are the main features, pros and cons regarding Canon EOS 60D Rebel camera. The model was released back in 2010 and it is very popular among those who are passionate about photography. Overall, it is a consumer-friendly camera with very useful features that is committed to delivering high-quality pictures. Do not buy Nikon D5100 before you read this! Digital SLR advancement has gone through a number of different phases by now. At first the battle was to manufacture less-costly models. Once companies achieved this they turned their attention towards the production of cameras with high pixel count. Superior sensitivity levels and enhanced low-light performance were next in queue. This continuous development resulted in expanded camera functionality. Presently, the biggest goal is to make these greatly complex SLRs easier and simpler to use, whilst facilitating the photographers to be creative. The famous Nikon D5100 perfectly symbolizes the present era in DSLR development. 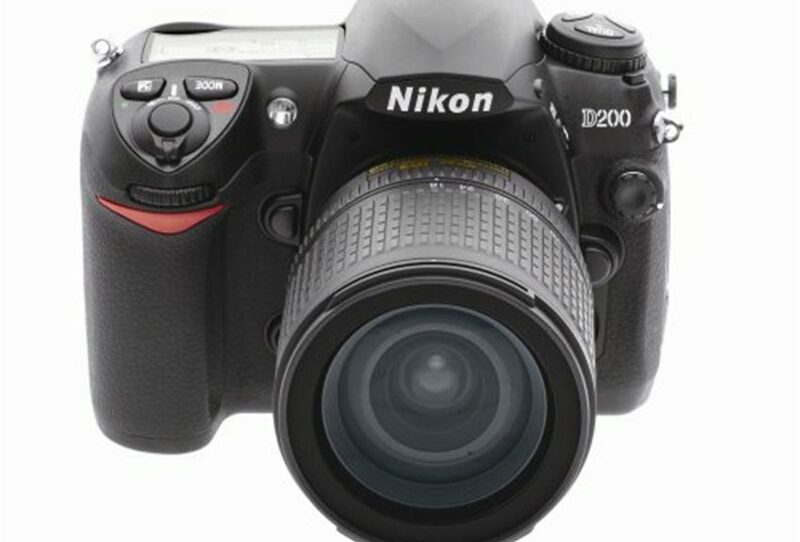 Although it does not have 24 Million Pixels like Nikon D3200, it is an incredible piece of technology. It’s 16.2 Million Pixels, special effects, 3-inch LCD screen and scene modes (fully automated) are enough for most photographers. It seems like Nikon D5100 offers almost everything an aspiring photographer would wish for. 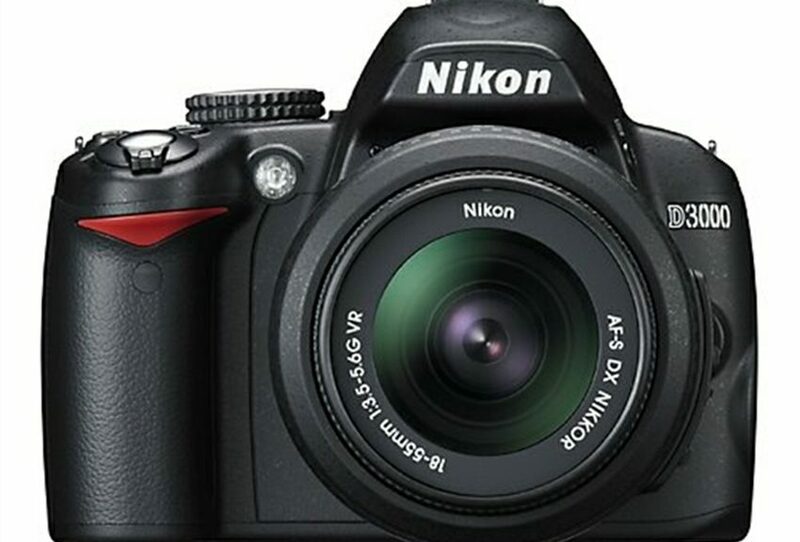 Nikon D5100 is available for $750 in the United States. It costs £550 in the United Kingdom.Features The 16.2 Million Pixels CMOS sensor is one of the prominent features this camera has. It possesses EXPEED 2 processor just like Nikon D7000. This indicates that it saves the images as 14 bit files, and the quality of two cameras is pretty much similar. The metering systems and white balance of Nikon D5100 use data from a 420 pixel RGB sensor. The AF (autofocus) system contains 11 points. Users can set the native sensitivity of this camera from ISO 100 to 6400. The Night Vision Special Effect mode has an ability to push the sensitivity of this camera to ISO 102,400. Shutter speed is 1/250 seconds or faster. 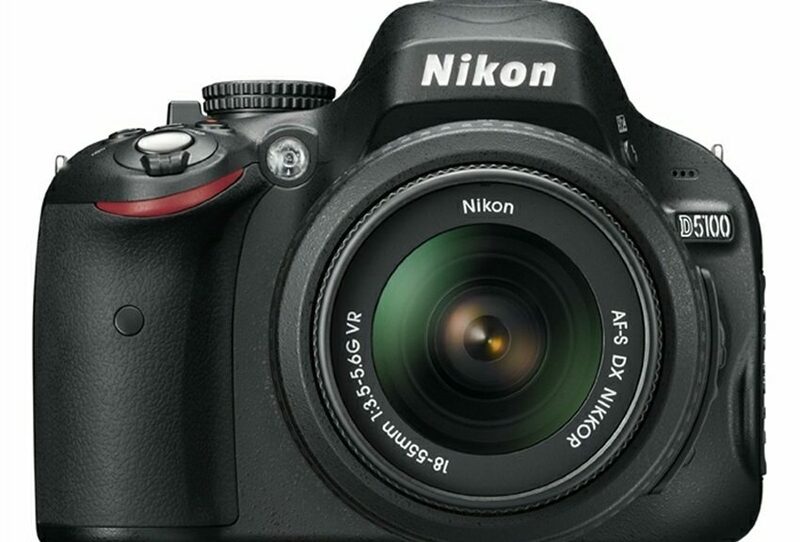 Nikon D5100 is capable of shooting at a rate of 4fps continuously for 100 supreme quality JPEGs. It only takes 1 minute 50 seconds to write one hundred excellent JPEGs to an SD card. It has a 920,000 dot, 3-inch screen. 16.2 megapixels, very versatile, intuitive controls, articulated screen, excellent performance in low light, and interesting Special Effects modes. When you grip Nikon D5100 harder than necessary, it becomes pretty clear that this camera is very well built. Manufacturers have designed it to last. It weighs around 560 grams. With the dimension of 128 x 97 x 79mm, Nikon D5100 is 10 percent lighter and smaller than D5000. The articulate screen is 17 percent thinner than D5000. This camera is extremely easy to grip. On the whole, it is very nicely put together. Chroma noise is not an issue with this model unlike other Nikon cameras. The colored speckling is very minutely visible in the images captured with this camera at its highest ISO adjustment. The quality of the images improves tremendously when the sensitivity is kept well below the expansion setting. Previously, Nikon cameras have been accused of having too accurate AWB (auto white balance), due to which the true ambiance of a scene cannot be captured. Nikon D5100 eliminates this problem entirely with its comparatively less accurate AWB. All features considered this camera is a very capable one. Useful for both novices and enthusiasts, Nikon D5100 comes with incredible versatility, quality results and an opportunity for creativity. The all new Nikon D3000 is an entry-level digital SLR camera designed with a view to make photography fun and simple for beginners. The D3000 primarily aims at photographers who like to take Pictures without worrying about the features and settings of the camera. This is an intelligently designed camera that asks you to aim at the object you want to capture and automatically optimizes the settings accordingly to deliver the best possible results. Once you’ve gained experience of handling the camera proficiently, you can learn the settings through Guide Mode to make the adjustments yourself. The Nikon D3000 features a 10.2 megapixel sensor, 3-inch LCD screen, EXPEED processing system, 11-point auto focus system and 3 fps continuous shooting. All these features are available only for $599.95. The D3000 looks and feels extremely light and professional. Although it doesn’t exhibit anything unique or new in terms of built, but for beginners it is definitely a very decent quality SLR camera. The Nokia D3000 measures 5.0×3.8×2.6 inches, making the entry-level camera portable and easy to carry. It is also identical in shape and size to various top-notch DSLR models in the market. The D3000 sports some cool features like above mentioned Guide Mode which works efficiently and differently as compared to other cameras in this range. Guide mode directs to a menu that allow the users to use multi selector to pick appropriate shooting scenario, and exact auto exposure mode to help them get the best shot. Other prominent Features include a 230,000 dot 3.0 inch LCD, D-Lighting for best exposure in shadows, 3 frames per second shooting and ISO control from 100-1600 with a HI1 setting. The Nikon D3000 features built-in flash, Fn (function button), AF lock button, shutter, and other buttons to provide you with easy controls to carry on different tasks. The shutter button is slightly different from most DSLR cameras with On/Off switch. It also sports distinctive orange/red hand bar under the shutter release. This function is only available in Nikon cameras. The menu system in Nikon D3000 has a lot to offer to its users. The multi-selector is a great place to start while browsing through the menu. The menu is straightforward and comes with five different tabs. They include: Playback men, Shooting Menu, Setup Menu, Retouch Menu and Recent Settings Menu. As far as storage and battery is concerned, the D3000 stores images on an SD/SDHC memory card. The device uses a 7.2Volt, EN-EL9a 1080mAh lithium-ion battery pack. The battery is quite powerful and allows 550 shots in one charge, while 50% of shots taken with flash on. Overall, it can be said that Nikon has done a great work with its new entry-level SLR. It is definitely going to be a useful investment for people who are not professional, yet looking forward to capture the most amazing moments of their life in the best possible frame. 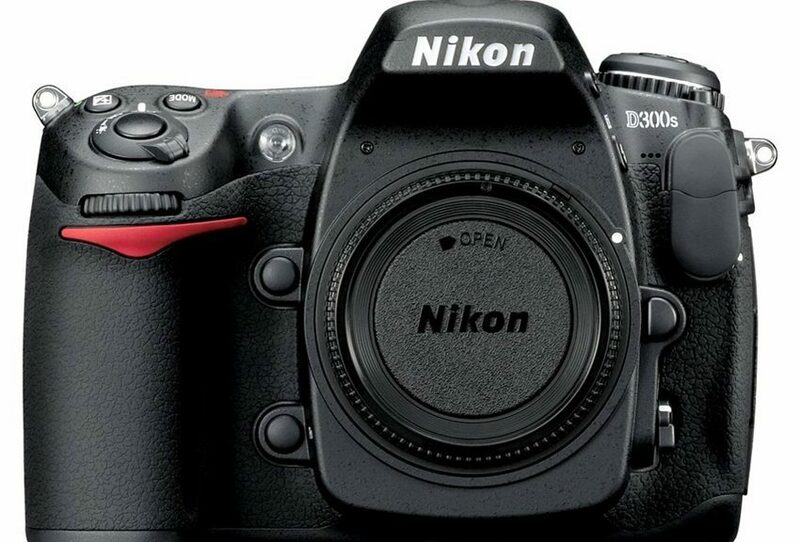 All in all, the Nikon D3000 is a decent digital SLR for the price it is available at. If you are looking for a camera that is going to deliver on quality, precision, and the quickest timing, the Nikon D4 is a great professional camera to consider. Although the price tag is higher than what you would pay for a digital camera today, for the true professional, and for those who do not want to miss a moment, this camera is guaranteed to deliver the finest lines, precision, and the perfect shot, in the shortest time period possible. – 10/11 Frames per second continuous shooting, for up to 150 frames (in FX quality). – A CMOS sensor, with 16.2 mega pixel quality, for precise shots, and up close views. – Full 1080p HD broadcast, for exceptional video quality on a camera. – The ability to view simultaneous live views on external monitors. – Multi area mode view, allowing users to crop video, and create a truly stunning experience in video. With the Nikon D4, you have the quickest shot, and continuous shooting capabilities, along with the finest and crispest shots, with each snap. With 16.2 mega pixels, you are not going to get a better shot, and with the capabilities of shooting 10/11 frames per second, you are not going to miss one angle, or one second when it comes to capturing continual shots. And, with a 3D color matrix, you will get the finest and sharpest colors, regardless of where the shots are being taken, or what angles the shots are being taken from. The Nikon D4 is designed with efficiency in mind, for the professional photographer, trying to capture the world class shot, without having to continually stop to reload and capture an image. You can easily adjust the AF mode, without having to leave the viewfinder, in order to change shooting capacities, and with a new joystick selector in place, you can quickly jump to the screen or mode that you want to shoot in, without having to move the camera from where it is, in order to get the exceptional shot that you are trying to capture. Whether you are working a wedding venue, or taking family portraits, the camera is going to allow for quick and easy workflow, and is going to allow you to adjust angles, viewing capabilities, and the style of shooting, without having to remove the Nikon D4 from your eye when shooting. With great speeds, exceptional color quality, and the highest HD capabilities, this Nikon D4 is truly a camera for the professional, that wants the best quality shot, every time they load to take a picture. And, with the reliable name and well known name in Nikon, you can expect nothing short of perfection. Although it does carry a higher price tag than some would like to pay, for the true professional and perfectionist, the Nikon D4 is a camera that you will love to own and work with.